With Squawka tweeting a revealing list of the top scorers and assist makers in the Champions League for the last three seasons, it’s easy to see why Premier League clubs are failing in this competition. 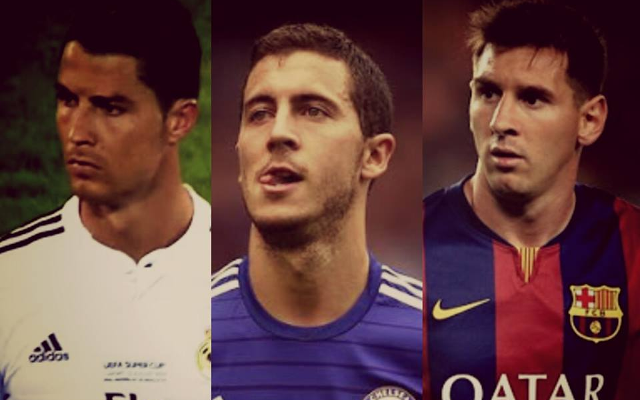 See who makes the football rich list 2015! With no English side making it even to the quarter-final stages of this season’s tournament, much has been made of the decline of teams like Chelsea, Arsenal and Manchester City, while Manchester United should replace Liverpool as our fourth representative in Europe’s top club competition next term. Looking at this list above, there is a clear message: the best attacking players are what get you far in the Champions League. Lionel Messi, Cristiano Ronaldo, Karim Benzema and Thomas Muller are all previous winners, while Robert Lewandowski’s brilliance inspired Borussia Dortmund to a runners-up spot in 2013 – plus he could go one better and win the thing this year. Luis Suarez is another world class attacker who has shone on this stage this season, scoring twice for Barcelona against Paris Saint-Germain in their impressive 3-1 first leg win, as well as twice to down Manchester City at the Etihad Stadium. The former Liverpool man is exactly the kind of player who could’ve helped the Reds this season, and his move to the Nou Camp last year continues a worrying trend of the most dominant all-round attacking players leaving the Premier League for moves abroad. Ronaldo was a similar move from Manchester United to Real Madrid in 2009, while big names like Neymar and James Rodriguez are recent big-money acquisitions by the big two in Spain, and Gareth Bale snubbed a move to Old Trafford to become another Galactico at the Bernabeu instead. Although English sides can boast big names like Eden Hazard, Sergio Aguero and Alexis Sanchez, it’s debatable if they are really in the same calibre at the moment. All are guaranteed double-figures players if fully fit, and all provide moments of match-winning excellence, but none are of the quite same super-human level of Ronaldo, Messi or Suarez in particular. It is asking a lot to have players of that quality, but sadly that seems to be what is needed to succeed in the Champions League at the moment – a forward who scores and assists at a phenomenal rate. They are out there, but the struggle is persuading them to play for a Premier League club.